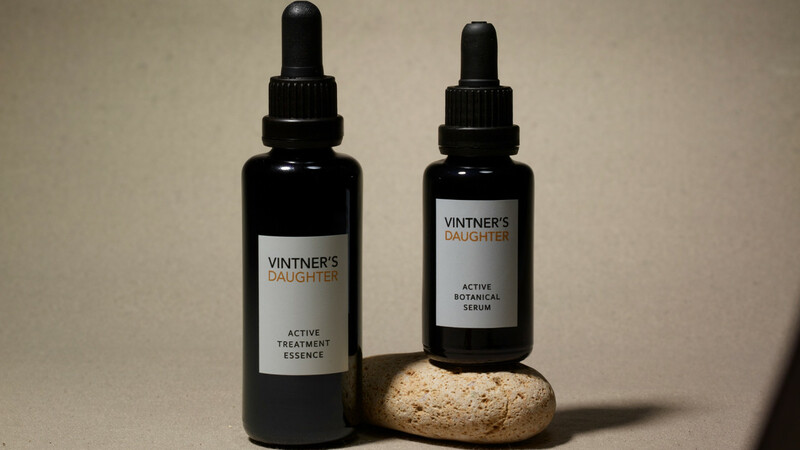 I was admittedly nervous to hear Vintner’s Daughter was finally releasing a second product, the Active Treatment Essence. Since launching in 2014, the brand’s serum has conquered and maintained cult-favorite status around the world. (Lady Gaga even wore it to the Oscars, so there’s that.) How could this new addition possibly live up to the hype? Especially after we’ve not-so-patiently waited for five years? The first thing you need to know about Active Treatment Essence is that it’s a completely different product. If you shell out $225 expecting Botanical Serum’s beloved floral scent and luxurious texture, you’ll be disappointed. These two treatments are, according to Vintner’s Daughter founder April Gargiulo, “the yin to each other’s yang.” They aren’t meant to compete, but to supplement—to complete your skin’s desired nutritional cycle. An essence is the touchstone of any Korean skin-care routine, used between your toner and your serum. Unlike serums, most essences (including this one) are water-based instead of oil-based. This allows your skin to recognize and internalize the nutrients in a completely different fashion. “On average, the human body is 60 percent water,” Gargiulo explains. “We know what do with it.” She evokes the image of a drop of oil hovering in a bowl of water. A drop of water placed into the same solution, however, is immediately whisked away and disseminated. The other key distinction between Active Treatment Essence and Active Botanical Serum is that Essence is fermented. It uses prebiotics and probiotics as a delivery system for the 70-plus nutrients contained within each bottle. “Fermentation changes the structure of our infusion at a molecular level,” Gargiulo says, sounding more like a biologist than anything else. “It makes the nutrients more bioavailable to your skin.” These microorganism are also super rich in antioxidants. Essence contains a whole family of B vitamins to nourish and reduce redness, amino acids to increase elasticity and firm, and vitamin C to brighten and boost collagen production. There’s also the added help of plant stem cells (to help your body create even more collagen) and two sizes of hyaluronic acid (to deliver plumping hydration deep into the skin). And that’s barely scratching the surface of all the nutritious goodies contained inside every bottle. So what’s it like to actually try this thing? Gargiulo recommends using Treatment Essence after cleansing, so I applied it in the morning after my Indie Lee Brightening Cleanser. 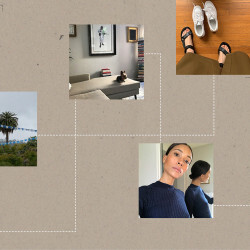 While my skin was still a little bit damp, I placed a silver-dollar-sized amount of the product—roughly one third of a dropper—into my palm, then patted it all over my face, neck, and décolletage. The first thing I noticed was a cooling sensation, which Gargiulo attributes to the product drawing hydration from the air. Fermentation is responsible for the product’s scent, which reminds me more of kombucha than a skin-care product. It’s not my favorite, but it does disappear after two or three minutes. Although these are standalone products, Gargiulo recommends applying Botanical Serum immediately after Treatment Essence. But I skipped that step today so that I can analyze Essence on its own. The results are truly remarkable. My skin is even and toned, despite skipping an actual toner. It also has a pearly sheen, almost as if I used blurring powder or my Laura Mercier Radiance Primer. And while I struggle with oiliness around my T-zone and nose, reapplying Murad’s Oil-Control Mattifier multiple times throughout the day, I’m able to omit that today due to Treatment Essence’s balancing effect. The only thing I didn’t love was the watery texture, which felt a little sticky after application. But that, like the kombucha scent, went away within minutes. The only thing I did was wipe my lips with a damp Q-tip to remove the sensation from that area. All in: Although Botanical Serum and Treatment Essence are radically different products, they’re both grounded in the idea that your skin, and not your products, are doing most of the heavy lifting. The best thing you can do is support your skin with the most nutritious goodies known to man. That, and continue to bathe in sunscreen. Active Treatment Essence drops this week on Goop and VintnersDaughter.com.